A new Issue Brief from the American Academy of Actuaries. Read the entire report here. The 2019 health insurance premium rate filing process is underway. Outlined in this issue brief are the factors actuaries consider in setting premium rates, and an overview of the major drivers behind why 2019 premiums could differ from those in 2018. The brief focuses primarily on the individual market, yet many of the factors discussed are also relevant to the small group market. Most premium dollars are used to pay for medical claims, including those for medical services and prescription drugs. Claims reflect unit costs (e.g., the price for a given health care service or medication), utilization, the mix and intensity of services, and plan design. Spending for health care services can vary by geographic area and from one health plan to another within an area due to varying regional medical practice patterns and the degree to which insurers in a region have leverage to negotiate fees and care management protocols with health care providers. Laws and regulations, including the presence of risk-sharing programs, can affect the composition of risk pools, projected medical spending, and the amount of taxes, assessments, and fees that need to be included in premiums. Recent and pending policy changes must also be considered in premium development. Pooling risks allows the costs of less-healthy individuals to be subsidized by healthy individuals. In general, the larger the risk pool, the more predictable and stable claim costs can be. But the composition of the risk pool is also important. Although the Affordable Care Act (ACA) prohibits insurers from charging different premiums to individuals based on their health status, premium levels reflect the health status of the risk pool as a whole. If a risk pool disproportionately attracts those with higher expected claims, premiums will be commensurately higher, all other factors remaining equal. Premiums must cover administrative costs, including those related to insurance product development, sales and enrollment, claims processing, customer service, and regulatory compliance. They also must cover taxes, assessments, and fees, as well as risk charges and profit. The increase in costs of medical services and prescription drugs—referred to in rate filings as medical trend—is based on the increase in per-unit costs of services, changes in health care utilization, and changes in the mix of services. Projected medical trend for 2019 is expected to be consistent with that for 2018, which ranged from about 5 percent to 8 percent. Although the growth in spending for specialty drugs is expected to remain high, spending growth for prescription drugs overall has leveled off, and is expected to be similar to or slighter higher than medical spending growth. .Recent policy decisions will affect 2019 premiums. In addition, final regulations are currently in progress that would implement an executive order from President Trump. Cost-sharing reduction (CSR) subsidies. The ACA requires individual market insurers participating in the individual market to provide cost-sharing reductions to eligible low-income enrollees through modified versions of their silver plans. These silver plan variants have higher actuarial values, with lower co-payments and out-ofpocket limits. The federal government had been making payments directly to insurers to offset the cost of lowering cost-sharing requirements, but those payments were discontinued in October 2017. As a result, 2018 premiums in nearly all states were increased to account for the additional costs of providing CSR subsidies. Most state insurance regulators directed insurers to increase premiums only for silver plans, while some states required the cost to be spread across all plans and a few did not allow insurers to load in any cost. Loading premiums for CSRs will contribute to 2019 premium changes if insurers change their assumptions regarding the degree to which premiums need to increase to reflect the cost of CSRs, or if states change the way they direct insurers to load premiums for the cost. Enrollees eligible for premium tax credits are protected from the premium increases due to the premium subsidy increasing to cover the premium increase. Higher premiums lead to more individuals being eligible for premium subsidies and higher subsidy amounts for those eligible. When CSR costs are loaded only on silver plans, enrollees using the increased premium subsidies toward plans in other tiers can result in free or low-cost bronze plans and lower-cost gold plans. In states where insurers aren’t directed to spread the CSR premium load over all plans, individuals not eligible for premium subsidies will have access to coverage without the additional CSR load. The exchange open enrollment results for 2018 showed a shift from silver to bronze plans and increased enrollment in gold plans,3 likely reflecting enrollees applying higher premium subsidies toward other plans, especially in states that used silver loading. For 2018, 29 percent of enrollees selected bronze plans, up from 23 percent during 2017 open enrollment. The share of enrollees choosing gold plans increased from 4 percent in 2017 to 7 percent in 2018. The silver enrollee population could become more skewed toward highly CSR-subsidized enrollees (i.e., enrollees eligible for silver plans with actuarial values of 87 and 94 percent) if highly CSR-subsidized enrollees are more likely to retain silver coverage and non- or less-CSR-subsidized enrollees (i.e., enrollees eligible for silver plans with actuarial values of 70 or 74 percent) shift to bronze or gold plans. If insurers expect a greater degree of concentration than assumed in 2018 rates, the load may need to increase. Although it is also possible that highly CSR-subsidized enrollees are moving to free bronze coverage, doing so would expose them to higher cost sharing than if they remained in silver plans, due to cost-sharing subsidies that are available only for silver plan enrollees. CSR premium loads reflect the share of enrollees insurers expect to receive CSR subsidies and the share of enrollees expected to fund this CSR cost. If the enrollment shift from silver plans was different than insurers anticipated or if insurers anticipate more enrollment shifts for 2019, then CSR loads may change. The enrollment shift could be greater in 2019 if larger premium subsidies result in increased consumer awareness of the availability of lower-cost bronze and gold plans. CSR premium loads also reflect insurer assumptions regarding the distribution of enrollees eligible for each CSR variant. CSRs will also contribute to premium changes if insurers are required to change the way they load premiums for CSRs in 2019 compared to 2018. For instance, if insurers that loaded only silver premiums for CSRs in 2018 were required to spread the CSR cost across all plans for 2019, the loads on silver plans would go down, but the premiums for other metal tiers would increase. Insurers would expect enrollees, including those not eligible for premium subsidies, to re-evaluate their coverage and metal level choices. In states with competitive environments, insurers would be incented to not offer the lowest- or second lowest-cost silver plans because these plans would expect to enroll the majority of more highly CSR-subsidized enrollees. A greater concentration of highly CSR-subsidized enrollees would increase the chance that the average load applied to all plans would be insufficient to cover the CSR cost. This dynamic could lead to insurers re-evaluating participation on exchanges. In addition, if off-exchange plans are not exempted from imposing a CSR load on premiums, off-exchange enrollment could go down and insurers with only off-exchange plans would be at a competitive advantage relative to insurers with both on- and off-exchange plans. 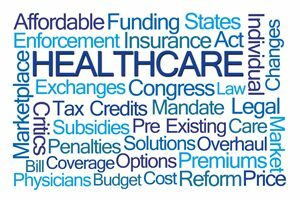 Any state actions to implement reinsurance programs, impose individual mandate penalties, or enact rules that would facilitate or prohibit the availability of alternative coverage options. Average premium rate changes may not represent the rate change experienced by a particular consumer. A number of factors can result in a consumer’s premium differing from the average rate change, including changes in plan selection, age/family status, tobacco status, geography, or subsidy eligibility. Read the entire Issue Brief here. « Are You Hiring Candidates with High Integrity?